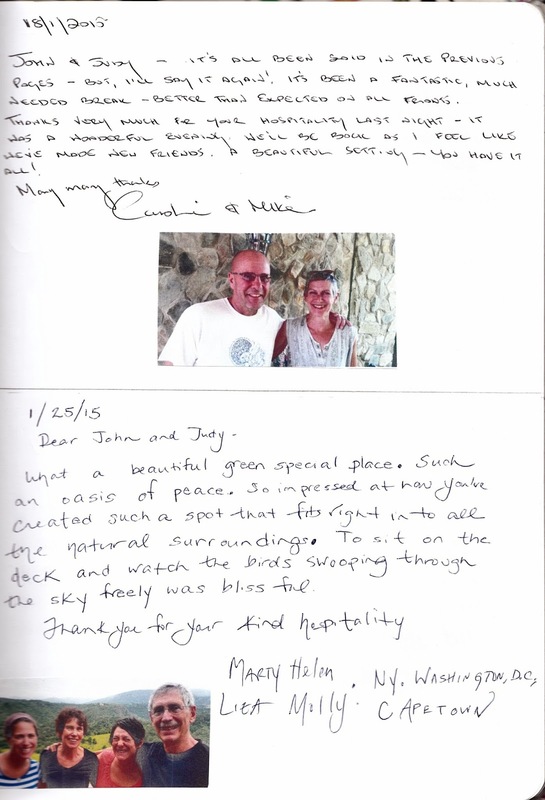 What our guests have to say about their recent visit to Porcupine Pie Boutique Lodge in Wilderness, Garden Route, South Africa. 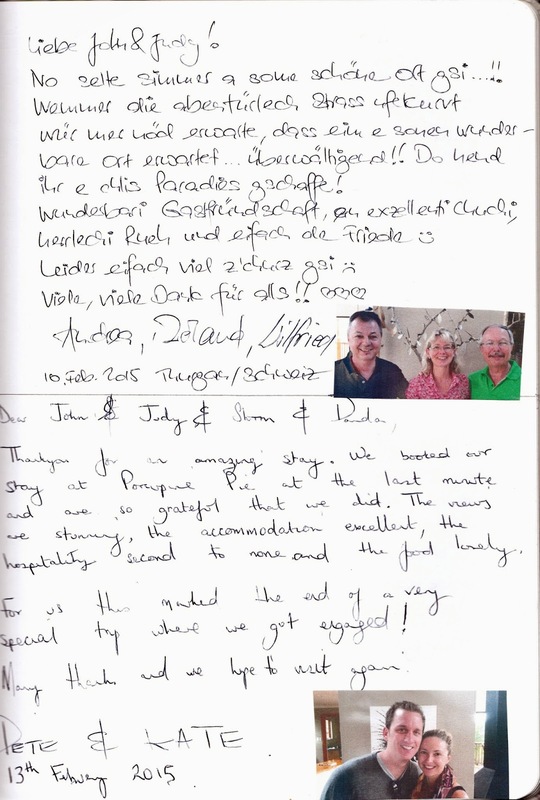 What our guests have to say about their stay at Porcupine Pie Boutique Lodge in Wilderness, Garden Route, South Africa. 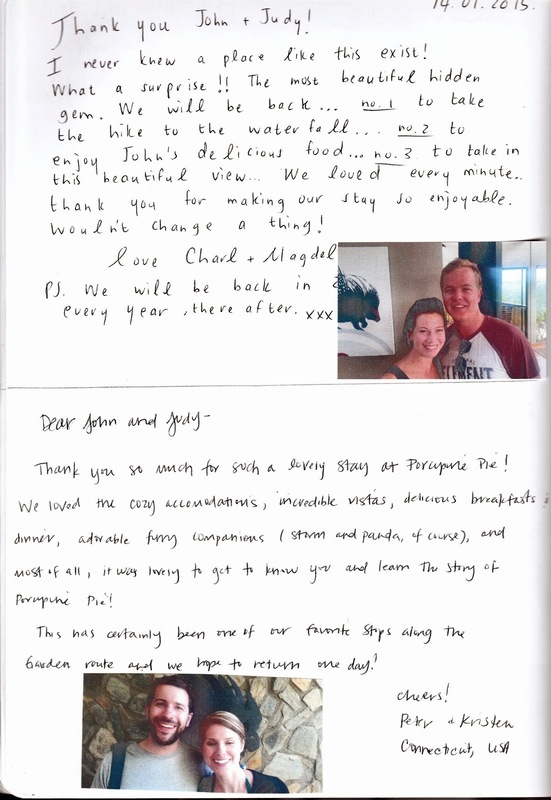 Porcupine Pie Boutique Lodge in Wilderness, Garden Route, South Africa is the perfect honeymoon destination or adult getaway - Ideal for couples of all ages, or even a group of friends wanting to relax far from the rush of the big city, but unfortunately, not suitable for children. Our 4 Star B&B accommodation in the foothills of the Outeniqua Mountains, is just a short drive from Wilderness village, restaurants and the beach. Explore the nearby towns of Knysna, Mossel Bay and Oudtshoorn. Play golf at the world famous courses nearby, enjoy the vast sandy beaches as you watch whales and dolphins playing in the surf or experience the many other exciting outdoor activities that the Garden Route has to offer. Porcupine Pie Boutique Lodge is the perfect Garden Route getaway where one can quickly unwind and revitalise the soul.